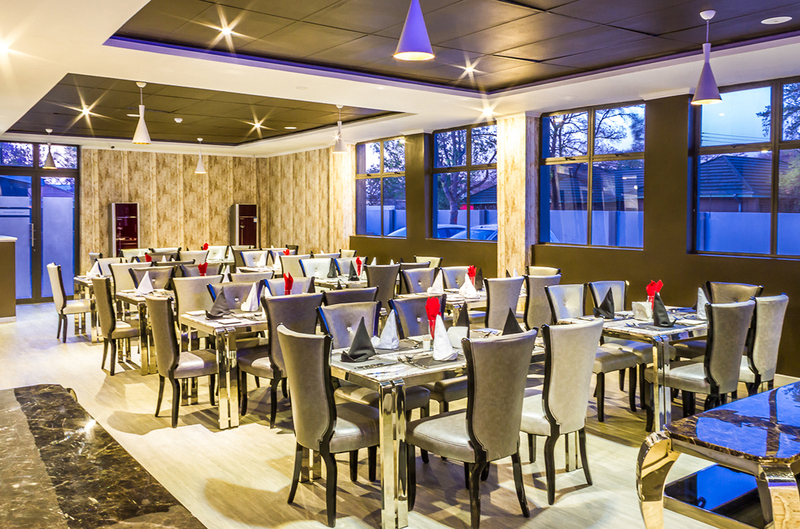 Staywell Hotels is a family owned business by the Rakhudu Family consisting of Mr and Mrs Ramotlatsi Yame Rakhudu and their daughter Lesedi. In 2009, the family travelled a lot and saw a gap in offering personalised accommodation. In offering personalised accommodation guests could actually feel that they are part and parcel of the establishment and not just a statistic. 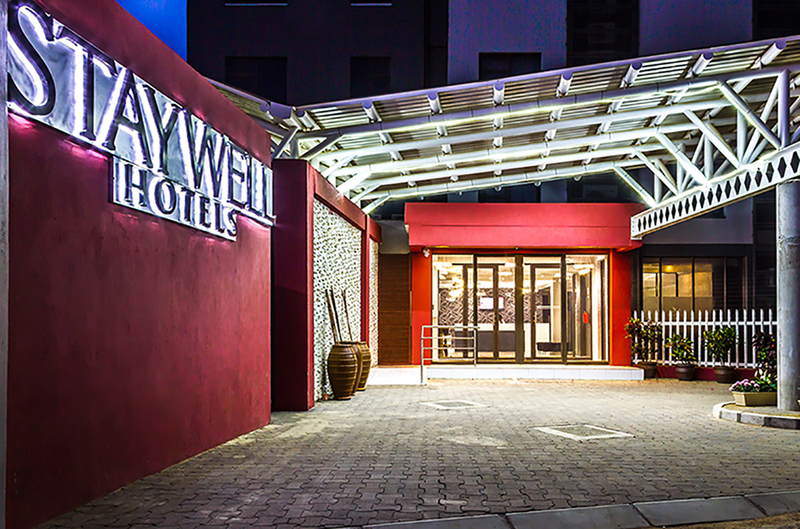 Staywell Hotels started in 2010 from the humble beginnings of a guesthouse located in the outskirts of Gaborone in a village named Mogoditshane. The guesthouse operated from August of that year and operated for a period of four years. 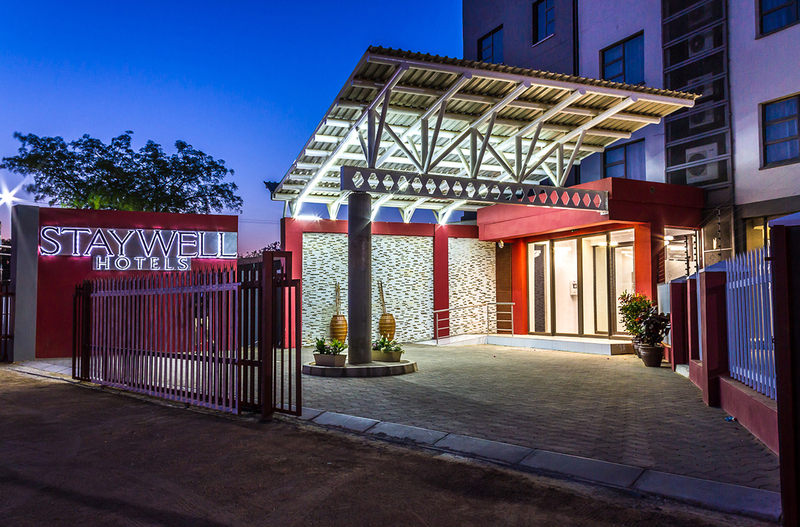 In 2013 Staywell Guesthouse was rated the number 1 Bed and Breakfast in Gaborone and the first commercial guesthouse in the Kweneng region and was rated a four-star establishment. With this rating we could not meet the demands of our clientele which was growing by the day. This simply prompted us into wanting to build a hotel to cater for more of our guest. 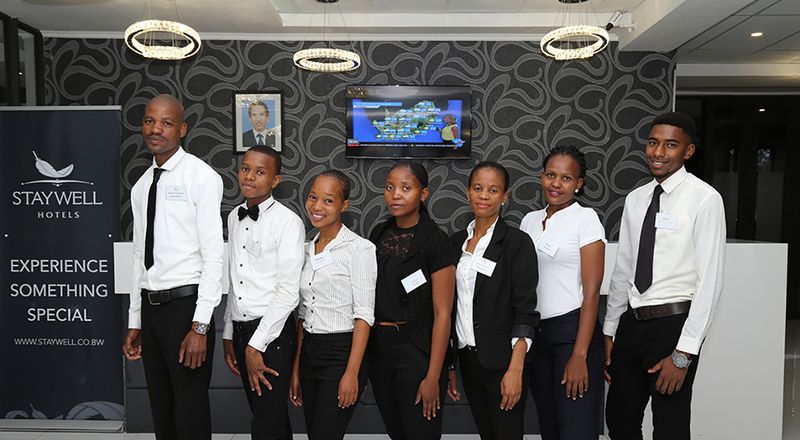 In those four years of our guesthouse we had gained an immense amount of experience in the hospitality industry. This gave us a great deal of encouragement and affirmation that we were doing something right because none of us actually come from a hospitality background. Mr and Mrs Rakhudu are both engineers and Lesedi is a Financial Accountant. How did you get to approach CEDA? The family had always known of CEDA but never thought to approach it and apply for funding to ensure they completed the hotel. We had heard many stories that CEDA would delay in financing and that their turnaround times from submission to an answer took too long. We subsequently went to the mainstream financial institutions such as the local banks to seek further financing to finish off the expansion plan of our project. We were unfortunatelyturned down by the banks. It was our luck that we met one of CEDA’s Portfolio Executives named Keletso Motsilenyane from Molepolole branch who asked us why we were still struggling to get finance to finish this project. She told us to pay CEDA a visit and find out what we needed to bring in order to apply for funding. After giving it some thought we then decided to visit the Molepolole branch and take Keletso up on her offer to seek financial assistance from CEDA. We went to CEDA in January of 2014 and submitted our proposal on the 27th of April 2014. In exactly 90 days on the 24th of July 2014 we were called and informed that our application for funding had been successful. Our application and proposal went through all the relevant channels for approval such as the Management Investment Committee and the CEDA Board of directors due to size of the loan. We also went through a due diligence through the audit and management firm named Grant Thornton. At every stage we were updated by the Molepolole Branch on the progress of our request for financial assistance. 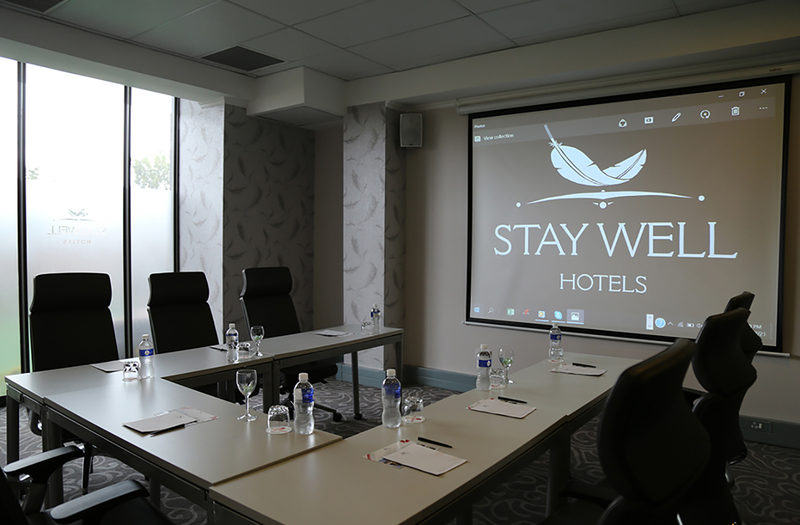 Even when we were putting the application together we were receiving advise and guidance at every step to ensure we submitted a viable business case to support the expansion of Staywell Hotels. Our application process was pleasant and this was largely attributed to the support of the officers tasked to handle our request. What challenges does Staywell Hotels face on a daily basis? 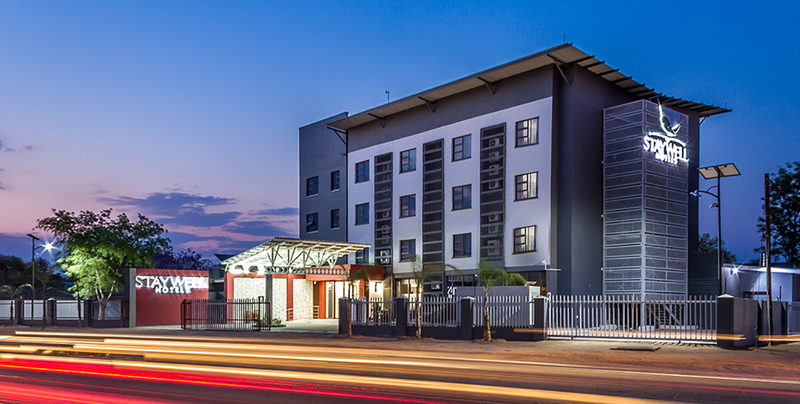 Due to its location, Staywell Hotels has a perception that it is located in a rough part of the city being Mogoditshane. For the local market particularly, Mogoditshane is not seen as the most accommodating area and potentially riddled with crime as it is in a village. We see this as both a set back and an opportunity. It is an opportunity as it gives us the chance to exceed people’s expectations. At the moment Staywell has received a provisional rating of a 3 star plus hotel from Botswana Tourism Organisation (BTO). 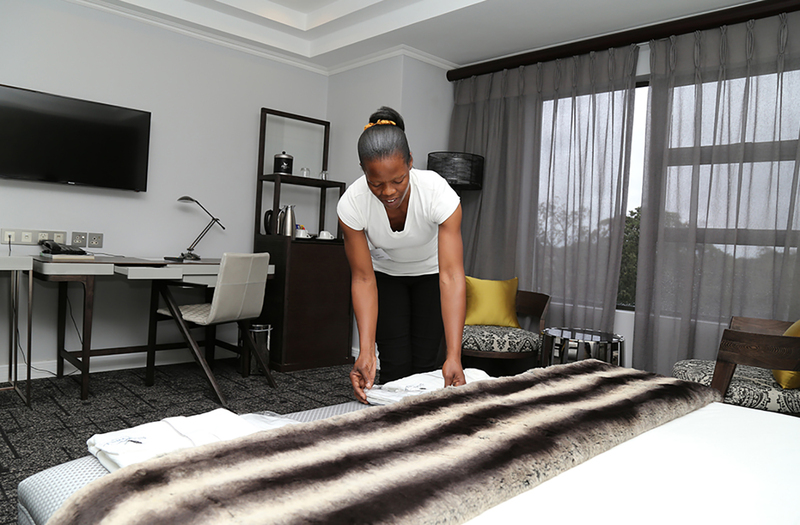 With that we have vowed to work a grade above as a 4 star hotel providing a 5 star service. People who have been guests in Staywell Hotels are pleasantly surprised and received the best treatment which obviously improves the reviews and the perception of our guests. Through this we have managed to grow our clientele. Another major challenge we face is cash flow. One of our biggest clients being Government departments and parastatals delay in making payments which stifles our cash flow. A 30 day payment period also strains our relationship with our suppliers as we end up paying them late. Lastly one of our other challenges is hiring qualified staff in the hospitality industry. We find that there are not enough qualified people in the critical key areas such as the food and beverage and house-keeping. In delivering a quality service we need to employ the right people in our establishment. Our ethos is quality. Quality in service and quality in personnel. What sets Staywell Hotels apart from other competing hotels? What aspirations do you have for Staywell Hotels? 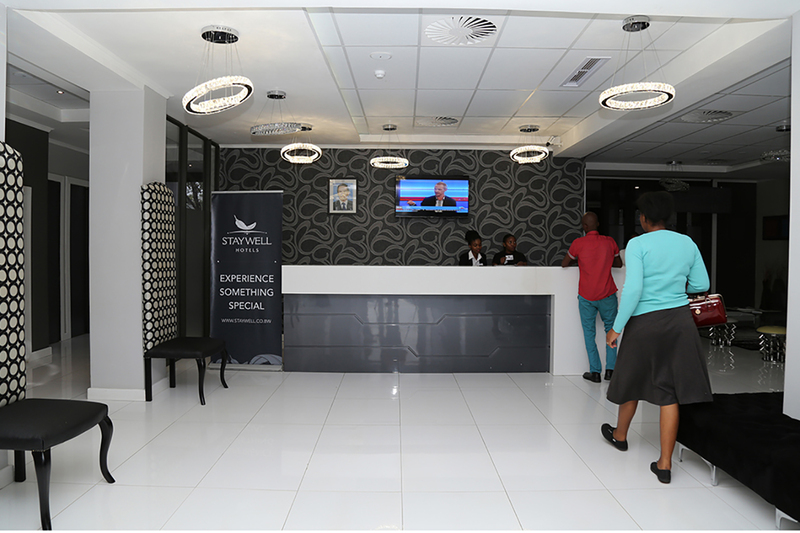 Our family would really like to increase our footprint in Botswana for Staywell Hotels. We already have plans of setting up another Staywell Hotel in Serowe and thus far we have already secured a location where we can set up shop. 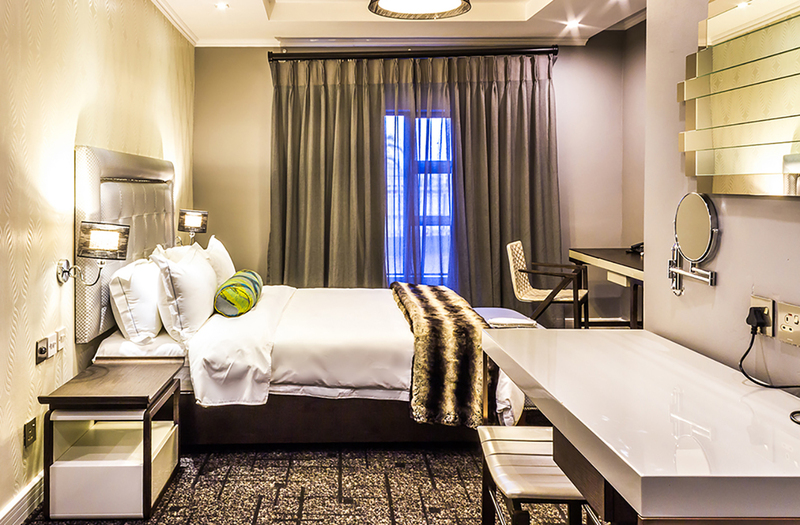 One day we would like to become one of the largest Botswana owned hotel chains. We have even had enquiries with people thinking we are a franchise. Before we franchise out Staywell Hotels we need to ensure that the business has its ducks in a row. We would hate to tarnish the good name of Staywell Hotels by franchising the business out to the wrong people. How many employees did you initially start off with and how many do you have today? When we first started out as a guesthouse Staywell Hotels only employed 13 people. Today through our expansion we have 35 people on our staff complement. We also engage casuals pending on the capacity of our rooms. Casuals usually help with housekeeping when the hotel is full. What is the turnover of your staff? Our turnover of staff is relatively low but we are faced with the challenge of finding the right calibre of people who are professional and have the right attitude towards their work and our guests. We really value members of staff that are hands on and go the extra mile to better our service. We also encourage our staff to also develop themselves through training and become cross-functional and multi-task in different departments of the hotel. By knowing each and every one of our customers we will be able to secure repeat business. In this line of business, you constantly need to keep track of your customers without being too intrusive. Hospitality should be personalised and tailor-made to ensure that you provide the highest level of comfort to your guests. Staywell Hotels prides itself on being open to feedback whether it be good or bad. Feedback is always good and should always be taken positively to improve your service. We also have Trip Advisor which also helps us follow our customers opinions of our service offering. What else is the Rakhudu Family passionate about? Besides Staywell Hotels, the family has a passion for commercialised farming. We have a 120-hectare farm in the Central District in the Mashoro area. On this farm we have ploughed and planted maize which we will soon harvest. Mrs. Rakhudu is the one leading the farming. Along with the crops we are also into integrated farming breeding goats, cattle, ducks and chickens. We even supply the hotel with the meat from the animals that we breed. What advice can you offer entrepreneurs going into the hospitality industry? Passion is the foundation of running any successful business and one needs to ensure that they never lose the drive and passion to succeed. Business owners need to be able to differentiate between commitment and contribution and know that they need to sacrifice both time and money. In any line of business, it is also important to share your successes and challenges with others in order to also create an environment of learning. By sharing information the industry will grow for the better.